Simona Caparrini and Rodolfo Corsato at the 2012 Premi David di Donatello in Rome. 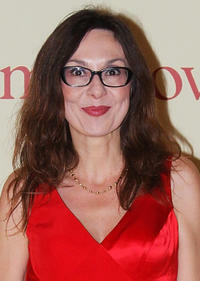 Simona Caparrini at the world premiere of "To Rome With Love." Simona Caparrini at the Daniela Press in Italia. 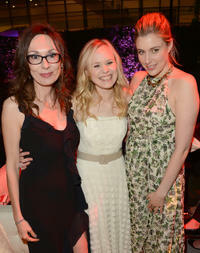 Simona Caparrini, Alison Pill and Greta Gerwig at the premiere of "To Rome With Love" during the 2012 Los Angeles Film Festival. 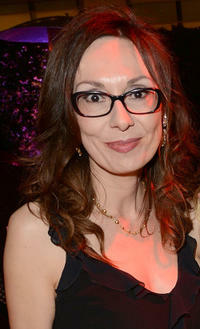 Simona Caparrini at the premiere of "To Rome With Love" during the 2012 Los Angeles Film Festival. 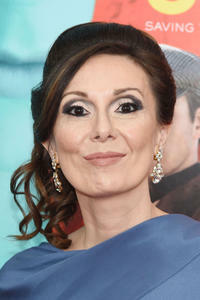 Simona Caparrini at the New York premiere of "The Man From U.N.C.L.E.."